Comment: The story of the hurt David caused to Bathsheba, the destruction he brought about in her family, is terrible. There is no undoing what David did, and the prophet in his court, Nathan, calls him to account on all of it. We learn later that David dresses in sackcloth. We hear the words of remorse in the psalms. We see the start of repentance. It doesn’t erase what happened before, and it is difficult to balance two truths, but they are both true: David does terrible things, and David also grieves what he has done. 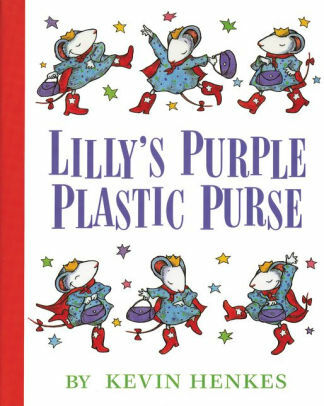 On a different level, the same two things are true in Lilly’s Purple Plastic Purse by Kevin Henkes. Lilly is so excited to go to school and show her favorite teacher, Mr. Slinger, her new purple plastic purse. He asks her to wait to show the class until later because the purse makes a distracting noise, but she doesn’t wait, distracts the class, and Mr. Slinger takes her purse until the end of the day. Lilly decides to draw the meanest picture she can of Mr. Slinger and accuse him of being a purse thief. Then, she leaves the picture for him to find on his desk. But, as she goes home with her purse in hand, she finds a note that her teacher has left her, assuring her that tomorrow will be better, and she feels remorse for her behavior and for the horrible picture she left for him. She makes herself sit in her time-out chair, and works to write an apology letter. The next day she goes to make amends and ask for forgiveness, which is granted by Mr. Slinger. Like David, what Lilly did can’t be undone, but like David, Lilly feels remorse over what she has done and realizes it was wrong. Both things are true for us as well. We do hurtful things, and by the grace of God, we are called to awareness and repentance so that we don’t have to keep living in the worst ways. Like David, like Lilly, we have done wrong, but we can also repent. Lectionary Links (NL): October 21, 2018 by Storypath is licensed under a Creative Commons Attribution-NonCommercial 4.0 International License.